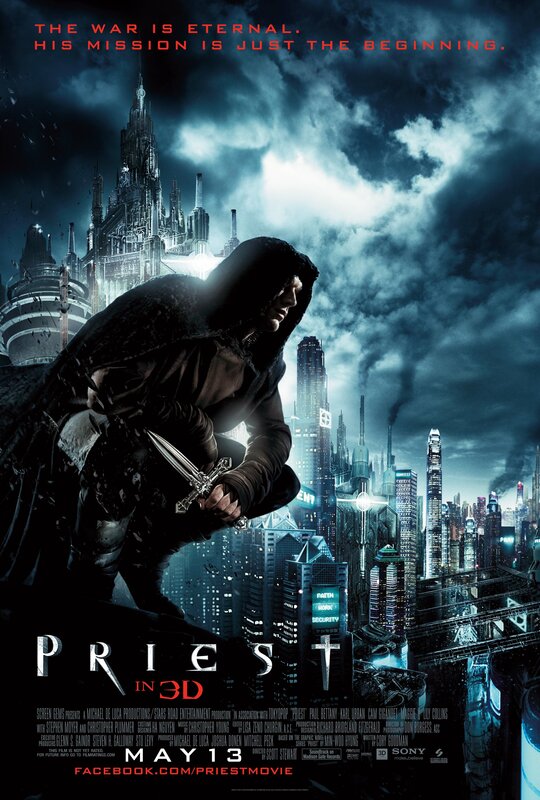 Here’s a new poster for Scott Stewart’s new film Priest and someone has clearly been getting stuck into Assassin’s Creed haven’t they? Priest is directed by Scott Charles Stewart and also stars Cam Gigndet, Maggie Q, Karl Urban, Lily Collins, Steven Moyer, Brad Dourif, and Christopher Plummer. The 13th of May is when it frees itself from the mantrap, so get scribbling in that diary. Synopsis: A Vampire western about a warrior priest who disobeys church law by teaming with a young sheriff and a priestess to track down a band of renegade vampires who have kidnapped his niece. Based on the graphic novel by Min-Woo Hyung. Previous articleExclusive Interview & Set Photos with Mark Hamill for Airborne + Black Pearl Could Be Part of a Trilogy?